Having decided to take a small break from track laying, I decided to crack on with my next building. The coaling tower is almost finished now with just some more hand rails to cut and fit into place followed by painting and weathering. 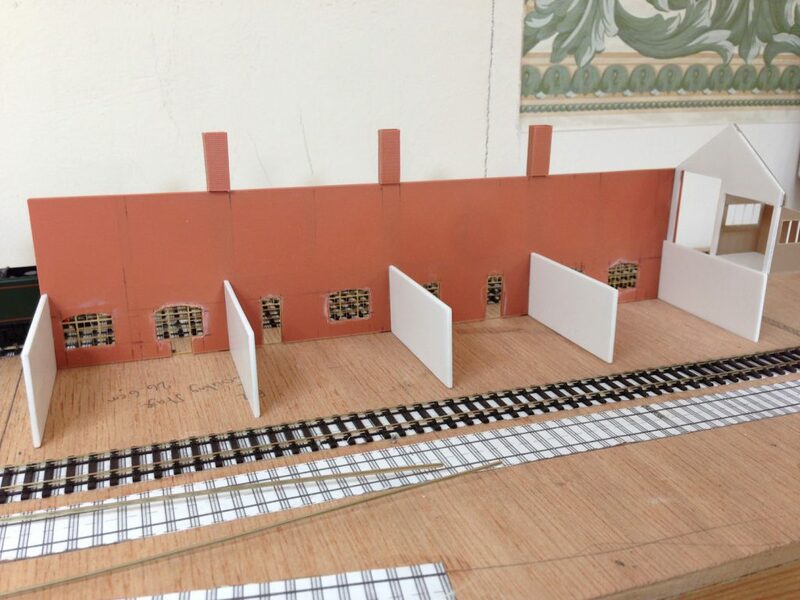 With very few unobscured photos available, I knew the coaling stage would be a bit of a challenge to plan and build. However with new material emerging, various photos provided and a good search through books, magazines and the good old 'tinterweb', an 'as close to prototype' plan was drawn up and construction started. Trying to find the correct number of doors and windows, especially on the western side of the building has proved difficult to say the least. Through the Tracks through Grantham team I have had access to a number of photos which have helped greatly. The photos have also helped identify an issue with the track work surrounding the coaling facilities, so I need to amend this in time too. The initial plan is shown below. 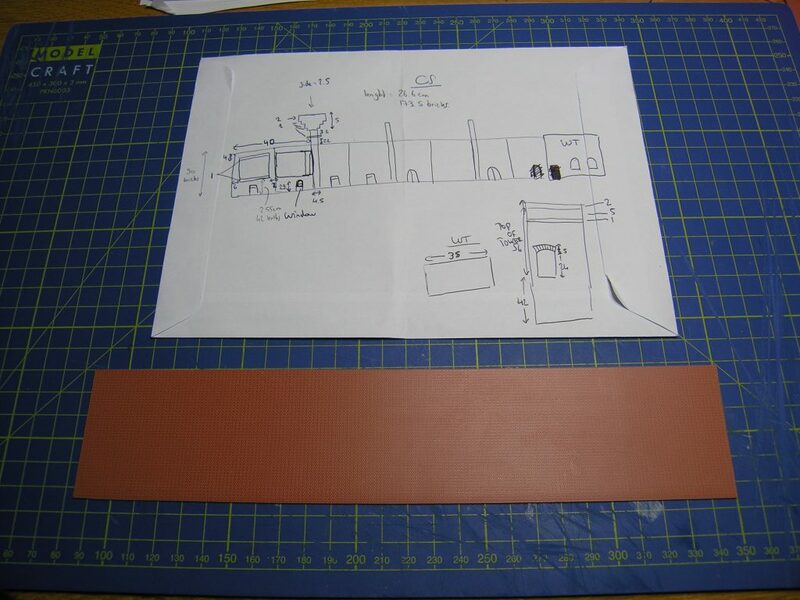 Below the plan is the first cut out of the Western wall (just over 26cm long!) with still plenty of work to do on it. 2mm scale plastic embossed brick sheet has been used for the main walls with plain plastic sheet used on the inside for strengthening. A wood plank effect plastic sheet was also sourced for the timber structures to the northern face and some square plastic strip has been purchased for the structures to the eastern face. The eastern and western walls will be the most challenging as they involve a large number of openings to be cut out and filed to shape. The western face is formed of a base sheet of brick embossed plastic sheet with a second sheet over the top with the openings cut out. There will be a third sheet on the inside with the bricks facing the opposite way which will be seen from the eastern side. 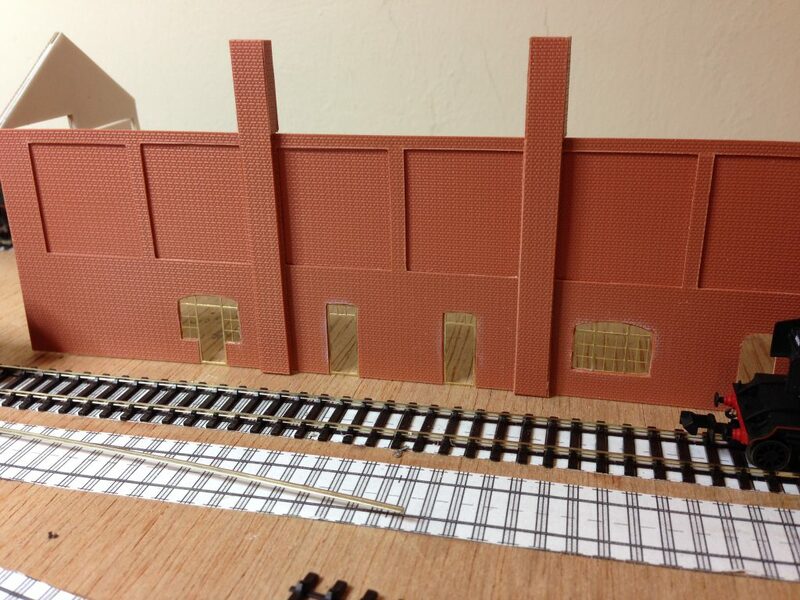 The three chimney stacks have also been put together, with the edges of the plastic filed to a 45 degree angle so the that they fit nicely together and the bricks run smooth around the edges. 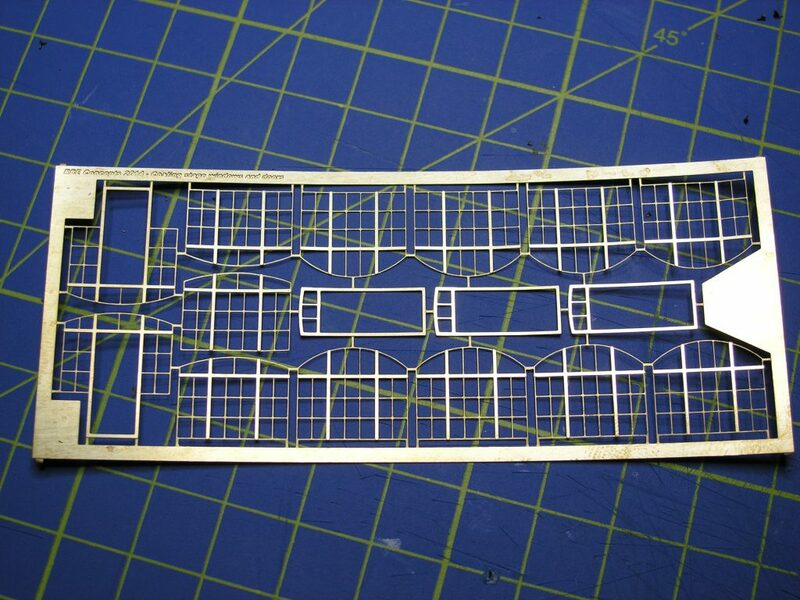 The next stage was to cut out the window and door apertures and these will have etched window frames inserted which have been specially made for me to fit and will add greater realism to the model. I have also constructed the old coal stage platform. This has been an interesting exercise given the lack of plans, so its all from photos. If anybody can help with a plan.....? There is still plenty of work to do! I have managed to pick up a Trails of Steam at Grantham book off of eBay and there are some great photos in there to help in my research. They are all undated but I assume that they were all taken during the late 1950s. Having also picked up, a couple of months, ago two issues of British Railways Illustrated with a two part article on the loco changes at Grantham during the 50's I'm feeling inspired to model Grantham station, yard and depot in its entirety one day! All in 2mm finescale, which will be rather a lot of handmade points!